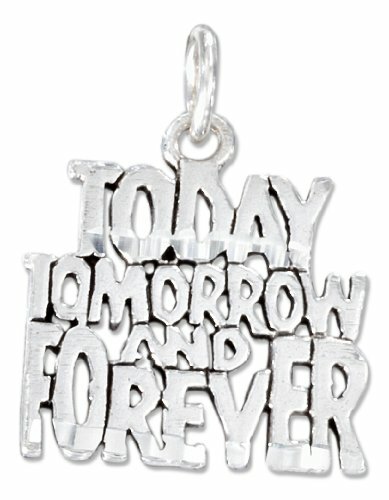 Diamond cut block letter "TODAY TOMORROW AND FOREVER" message charm. Message measures 18mm wide x 16mm. A 6mm jump ring is attached for hanging on a chain. This is a great gift to express the longevity of a commitment! If you have any questions about this product by 100Silver, contact us by completing and submitting the form below. If you are looking for a specif part number, please include it with your message.